Yard maintenance shouldn't be hard work. 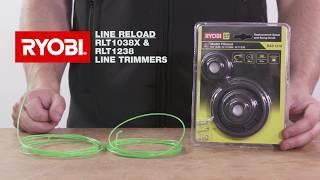 Keep your grass under control and your fence lines neat and tidy with the 1200W line trimmer from RYOBI. The powerful 1200W motor makes light work out of tough trimming jobs, so even if your yard is looking a little wild, this trimmer will be able to take it in stride. Get more for less with this line trimmer. It is compatible with our range of Expand-It attachments, means you get amazing versatility and can swap your power head quickly and easily depending on what you need to get done. Please note though that the cultivator attachment is not recommended for use with this model. When it comes to power garden tools, you can't go past RYOBI. Our dedication to innovation and cutting-edge technology means you get tools that are user-friendly, powerful and well-designed. Get your 1200W line trimmer today from your nearest Bunnings Warehouse! 1200W Line Trimmer is rated 5.0 out of 5 by 1. Rated 5 out of 5 by Niven from Preferred choice. This is my third ryobi line trimmer. I’ve borrowed others in between models, I find the ryobi’s outlast the others. They are more balanced with a more reliable motor. I’ve been using ryobi line trimmers for 20 years, along with my other tools the ryobi’s are still going. Just don’t change the dimensions to the expander products, I want to be able to add them eventually. Yes. Please refer to product manual for further information.